Yep, there’s actually a human slingshot in Dubai! Brave enough to try it? This slingshot will propel thrill-seekers across the beach and over the sea at speeds of up to 100km/hr – in just half a second! Want to be on top of the world? A trip to Dubai isn’t complete without visiting the iconic Burj Khalifa! 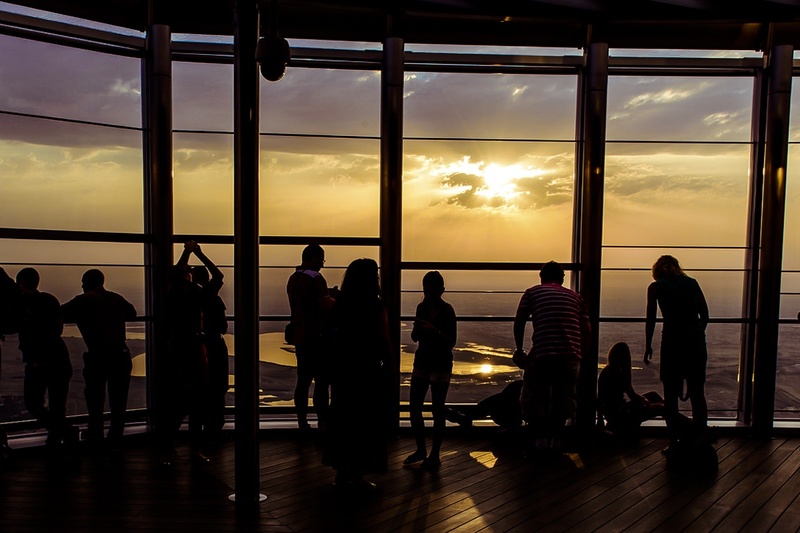 Make your way to the At The Top viewing deck on the 124th floor (at sunrise or sunset for the best views) – they even have a sunrise breakfast offer, where you can enjoy a complimentary breakfast at The Cafe! Now that Global Village has finally reopened, you can explore the world in just a day. With live entertainment, kiosks, stalls, restaurants, performances, delicacies and traditional crafts from various countries all over the world, there’s no better way to explore the world… without having to leave the city. Ever tried a gold samosa? How about a gold cappuccino? Yep, only in Dubai will you find 24k gold dishes available all around town. If you fancy getting a taste of luxury, you can find this popular Indian snack, which is dipped in 24 carat gold, at Yalla Samosa in JLT. It may sound a little odd, but yes there’s an actual indoor ski park built inside Mall of the Emirates… and it’s snow much fun! From hanging out with penguins to learning how to ski to rolling around the snow in zorb balls – this is one Dubai experience to tick off your bucket lists. A trip to the Dubai Mall needs to be on your lists, whether or not you want to shop! There are so many things to do there, including watching the Dubai Fountain show, ice skating, seeing the sharks swim around in the gigantic Dubai Aquarium, take a flying lesson, shoot zombies and more. Last but not least, your trip wouldn’t be complete without an insane Dubai experience! People from all over the world come to Dubai just to skydive over the Palm Jumeirah, so if you’re brave enough to try it out – go for it! next48 Hours in Dubai: Here's The Ultimate Guide!